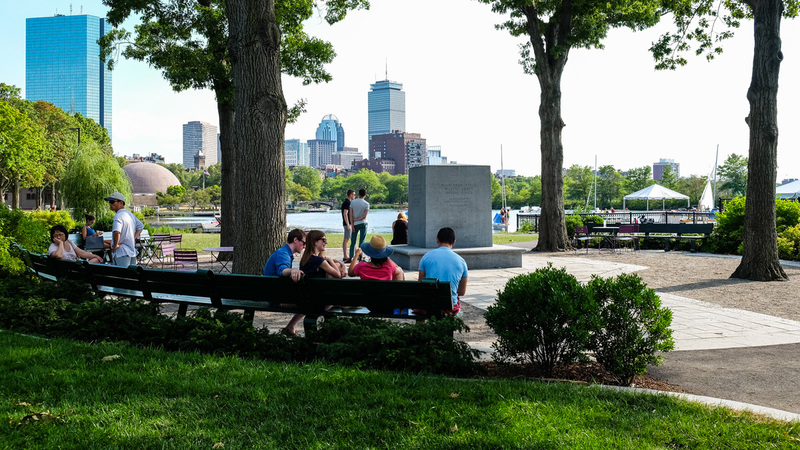 Beginning at Boston Harbor and running along the Charles River for twenty miles, this reservation was one of the metropolitan sites proposed by Charles Eliot and Sylvester Baxter in a report published in 1893 by the Metropolitan Park Commission. When Eliot became a partner in the firm Olmsted, Olmsted & Eliot that year, he remained the designer of the metropolitan projects. 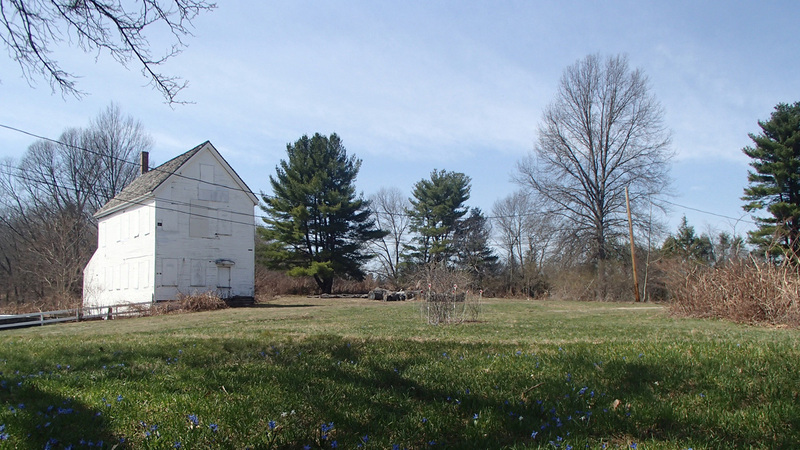 This 863-acre linear reservation consists of two sections. 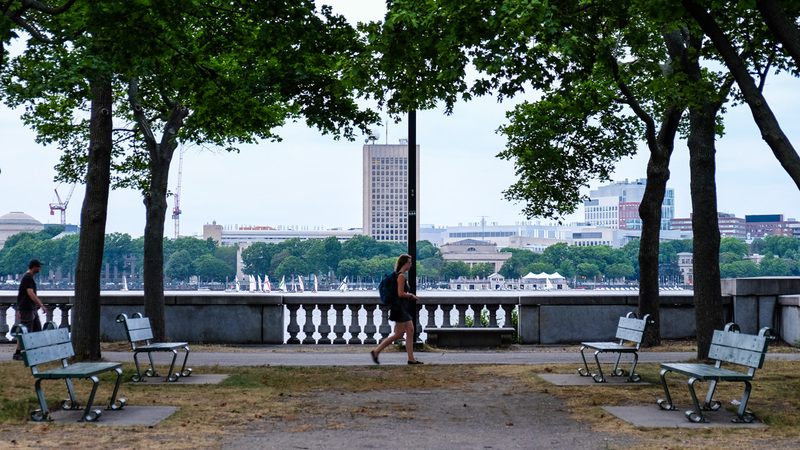 The lower half of the reservation, from the Charles River Dam to the Watertown Dam, is the Charles River Basin, which includes the Charles River Esplanade on the Boston side. The original dam was built in 1910 to prevent flooding, and was replaced in 1978 by the current dam. The basin abuts Harvard University, the Massachusetts Institute of Technology (MIT), and Boston University. 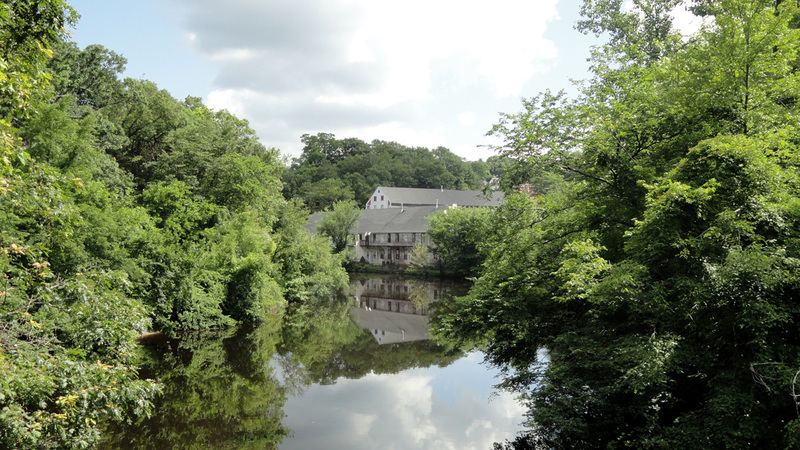 The Upper Charles River section of the reservation begins at Watertown Square and extends to Riverdale Park in West Roxbury. 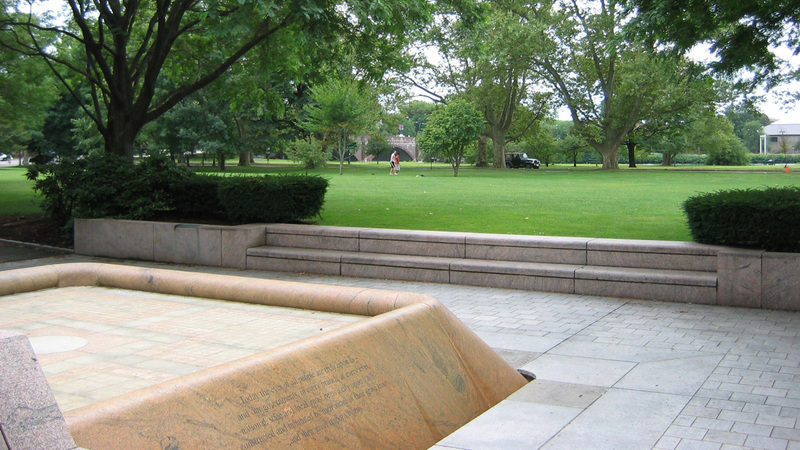 The reservation contains numerous parks located along both sides of the Charles River, including the Charles River Esplanade, Lederman Park, Nashua Street Park, Herter Park, Paul Revere Park, North Point Park, the Front and Cambridge Parkway, the Cambridge Esplanade, Magazine Beach, Riverbend Park, John F. Kennedy Park, Nahanton Park, Allison Park, Auburndale Park, Landry Park, the Lakes District, Forest Grove, Hemlock Gorge, Cutler Park, Riverdale Park, and Brook Farm. Two granite pillars marking the entrance to the Upper Charles River Reservation are located in Watertown Square. 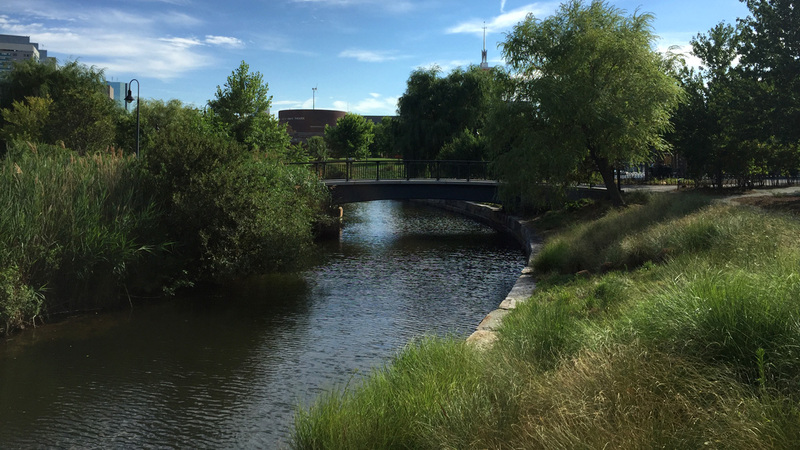 A continuous pathway runs along the river banks to the Moody Street Bridge in Waltham. 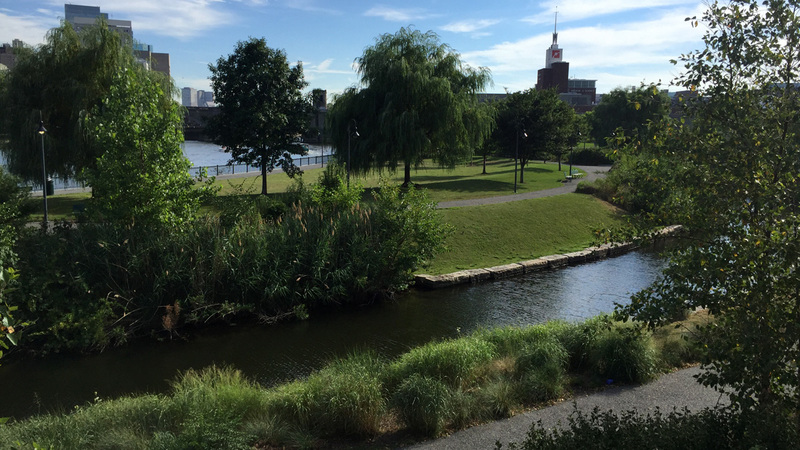 The Dr. Paul Dudley White Bike Path loops around the basin for about eighteen miles, from the Charles River Dam to Watertown Square. 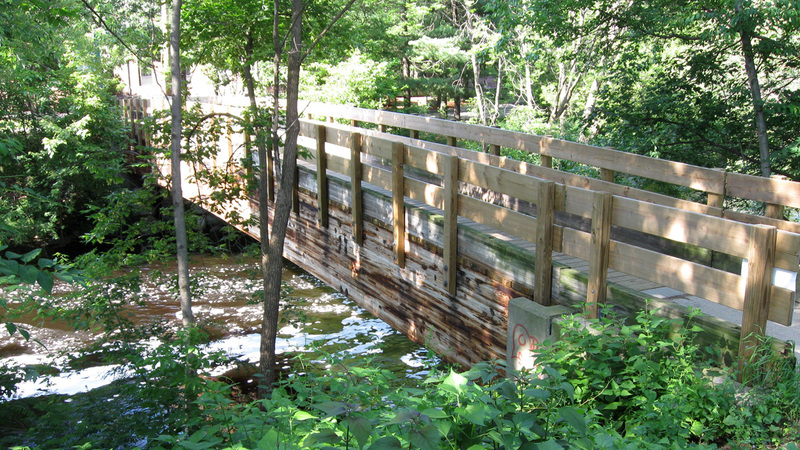 The 820-acre Charles River Basin Historic District was listed in the National Register of Historic Places in 1978, and the Charles River Reservation Parkways were listed in the National Register of Historic Places in 2006 as a district.